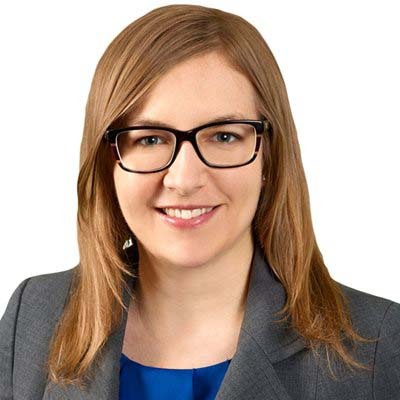 Charlotte McDonald is a senior associate in Gowling WLG's Toronto office. She practices intellectual property law, with a focus on litigation and trademark prosecution. Charlotte provides advice for contentious and non-contentious legal issues including enforcement of copyright, trademark and patent rights; patent, trademark and copyright licensing and assignments; and trademark registrability and use opinions. She has been counsel for parties involved in patent, trademark, copyright, trade secret and Patented Medicine Prices Review Board disputes. Charlotte has participated in three patent trials before the Federal Court, judicial reviews, trademark oppositions, and has been involved in intellectual property matters before the Ontario Superior Court. She is also skilled in alternative dispute resolution and recently participated in successful court-assisted and independent mediations. With her wide range of legal experience, Charlotte has managed mid-sized trademark portfolios in Canada and internationally. She recently assisted in preparing a large commercial litigation matter for trial during an international secondment in the firm's Birmingham, UK office. Charlotte is also an active member of Gowling WLG's US sales initiative.